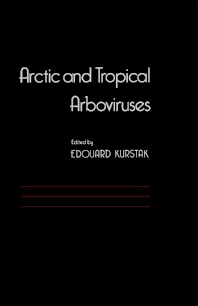 Arctic and Tropical Arboviruses contains the proceedings of the Second International Symposium on Arctic Arboviruses held at Mont Gabriel, Canada on May 26-28, 1977. This book contains a total of 20 chapters; a few of these chapters describe the diseases with arbovirus as a possible etiological agent, such as in the case of nephropatia epidemica, rapid diagnostic techniques for the detection of arboviruses, and in vitro culture methods for arboviruses using arthropod cells. Several other chapters are devoted to the investigations on arboviruses in the northern regions and on their vectors, mosquitoes, and ticks, as well as to the detection in the north of arboviruses originally isolated inthe south. Such bipolar distribution of arboviruses could be the result of the transport of arbovirus-infected ticks by migratory birds. This volume will provide a useful tool for all concerned with viral diseases, including virologists, epidemiologists, and ecologists.